Ozzy Osbourne Harmonica. From his first career steps in a blues band, through the days with Black Sabbath up to his incredible, ongoing solo career, one instrument has always been Ozzy´s companion – a HOHNER harmonica. 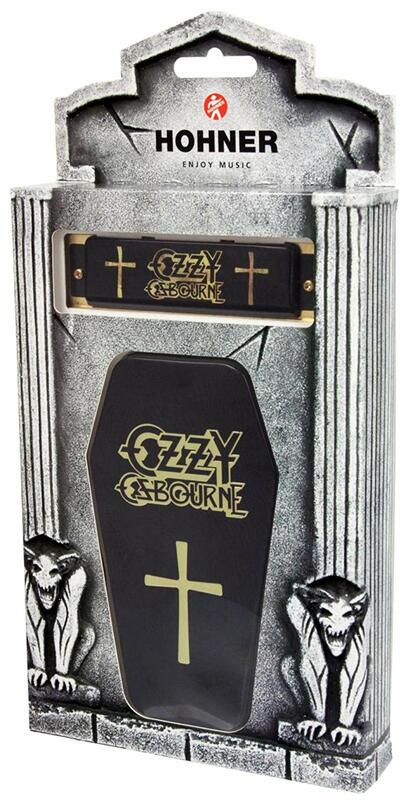 Ozzy Osbourne and HOHNER have now teamed up to deliver the world´s hardest rocking harmonica. Be part of the Prince of Darkness’ journey and follow in his musical steps with this instrument, including 30 days of free online harmonica lessons. 50 Golden Tickets are randomly hidden in the Ozzy Osbourne Harmonicas. Find a ticket to win one Special Edition harmonica, signed and played by Ozzy.